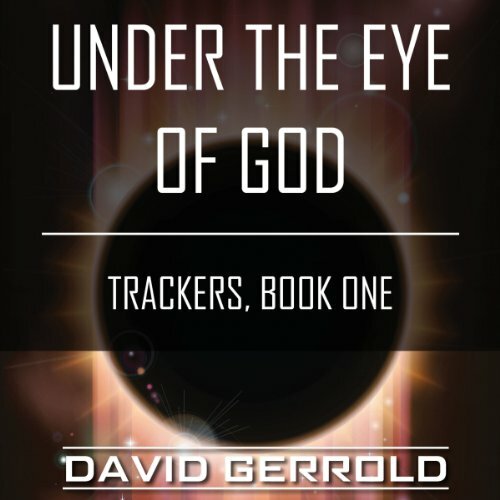 David Gerrold’s classic space opera Under the Eye of God tells the story of a group of unlikely rebels on a mission to reclaim the galaxy from ruthless vampire overlords known as the Phaestor. The dark, burnt world of Thoska-Roole, infamous for its harsh climate and equally callous inhabitants, might be the last place in the galaxy anyone would turn for aid in times of crisis. But the small, orange planet is home to the band of rebels who hold the fate of the entire galaxy in their hands. The Phaestor were once humanity’s last hope, but these genetically engineered predators and their deadly army of Moktar Dragons have since seized control of the galaxy and subjugated all lesser species to feed their appetite for chaos and blood. Standing in their way is the ragtag alliance of malcontents from Thoska-Roole, including two bounty hunters, a mercenary ship captain, and a disgraced reptilian warrior. Together, they make a last desperate stand against the Phaestor and their reign of unprecedented terror. ©1993, David Gerrold (P)2014 Audible, Inc. I enjoyed the reading more than the listening on this one. worth the time tho. What would have made Under the Eye of God better? Has Under the Eye of God put you off other books in this genre? If you could play editor, what scene or scenes would you have cut from Under the Eye of God? The dogbaby scenes.. Which is about a third of the book.